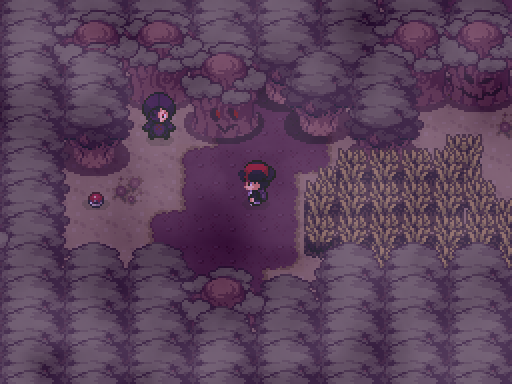 Experience the dark, horrifying world of the Inferno Region, home to death, darkness, and lots of black and red. Follow the journey of Fang, a teenage boy who desires revenge, as he uncovers a dark truth in the world and the people around him. Also monologues. A lot of 'em. -Use Alt to speed up your game. If you like this game, I'd recommend playing another game from our writer (the one who wrote the funny jokes, aka not me). 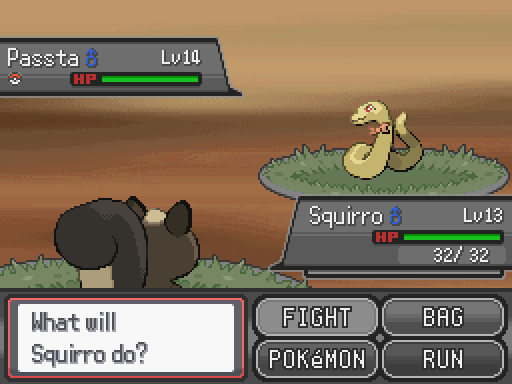 This game was a thing to make, hoo boy. 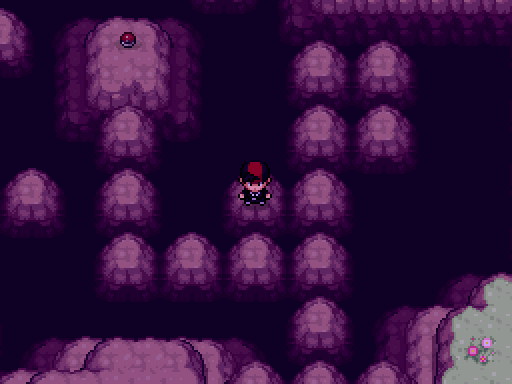 The trio theme can be applied in a ton of ways, most prominently in the presence of three gyms, though. Hmm, this seems like a very serious, important, emotionally powerful experience. I can't wait to try it out for the FIRST time. Don't know why, but I've been really looking forward to playing this one especially. Maybe it just speaks to me? Anyways I applaud to this work and will definitely try to play it when possible. 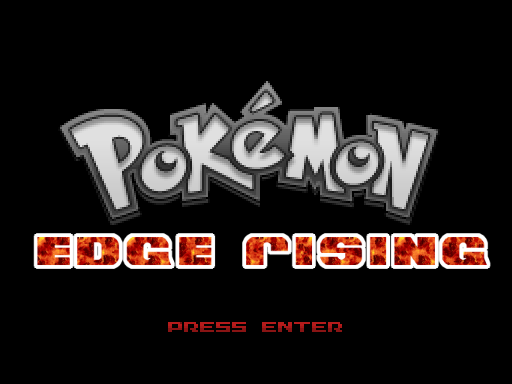 Amidst a hilarious set of jokes (if the intro didn't have you in stitches, I don't know what will), Edge Rising has a surprisingly interesting plot and some great fakemon to accompany you! (and with an Exp Share and Unlucky Egg, you can use them to their full potential!) It was fun to playtest, and I know the final release will be even more so! Thanks to @Rhyden's help, we managed to fix a major bug that somehow slipped past us in development. I updated the download link accordingly. Updating it strongly recommended. For those that already have the game installed, I have the download for the map fix separate, if you want. EDIT: Added another bugfix because lord how did these get past us? This game was definitely... an experience. 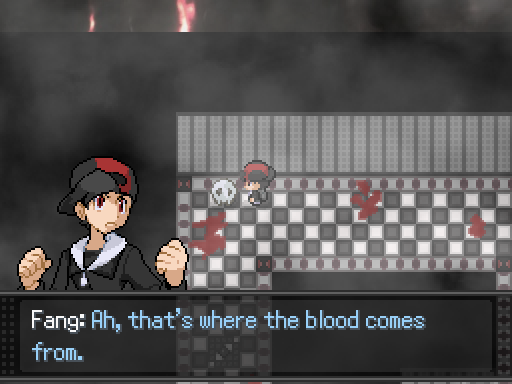 For a game that mocks stereotypes about edgelords, the story was pretty deep and engaging. Visually, everything came together really well and I'm genuinely surprised with how much of a game there actually is to play. It's a lot better than other things I've seen people put years of work into and you guys deserve some serious props. I'd highly recommend this game to anyone (at least anyone who can tolerate the profanity and setting of course) just because of how fun and interesting it is. Please leave spoiler-related comments under a spoiler tag. I'm trying to understand what the problem is, but I'll send this comment over to the people that handled the battle segment of the game. I think I got the same problem quentix does. 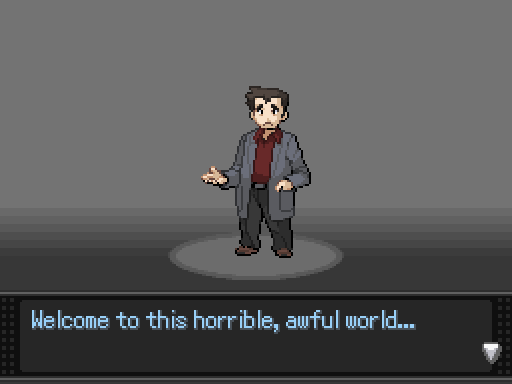 When you fight Red, instead of transitioning to a battle after he says, "Go, Pikachu!," it goes to the message that is supposed to play after a player is defeated, I suspect: "As was expected. Now to throw away the garbage." 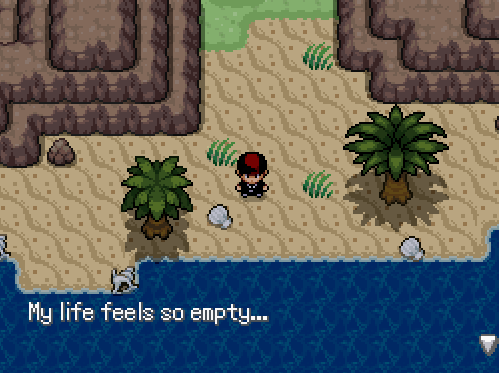 I think this might be because I saved during Red's flashback, so on the savefile, it shows me having no pokemon, and thus I get an automatic game over. Well, that's strange - you aren't even supposed to be able to save during the flashback. Thanks for letting me know. I'll forward this to Mak as soon as I can. yeah that was the same thing happen to me! We're working on it right now. Hopefully we'll have a fix in just a few hours. I fixed the bug (alongside a few other minor bugs) and updated the link. Anyone that saved before the end should hopefully still be able to continue, as I added a conditional branch that re-adds the entire party if they're missing. Unfortunately, I made quite a few changes to quite a few different maps, so it would be a little counterproductive to upload all of them. Anyone who's previous installed the game should download the new version. Save data will be maintained, luckily. hum and whats is the dlc of the spooky house in the forest of dead can i get the date of him please?